Next is comfort. You need a harness/container that is not only comfortable on the ground and in the plane, but most of all under canopy. 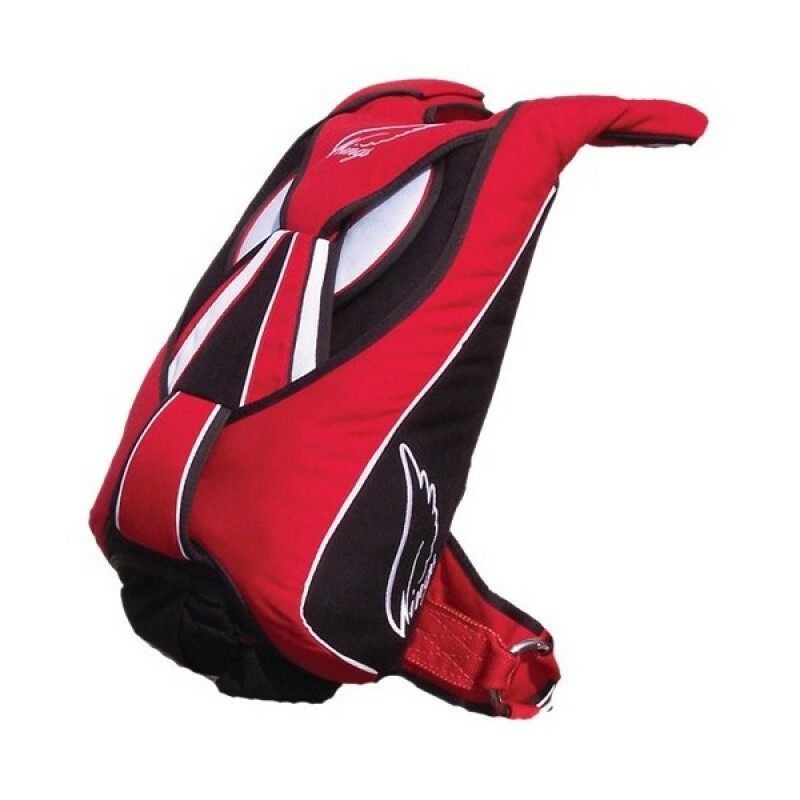 Wings achieves that comfort by forming to your body. 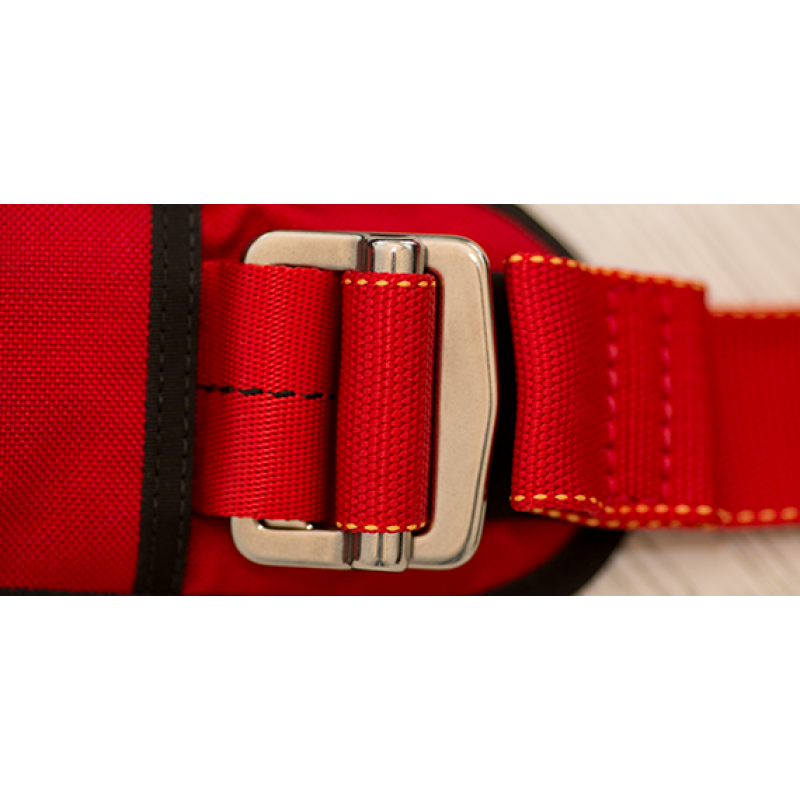 The integrated rings of the articulated harness allow easy movement in the harness, letting the harness pivot instead of pinch. 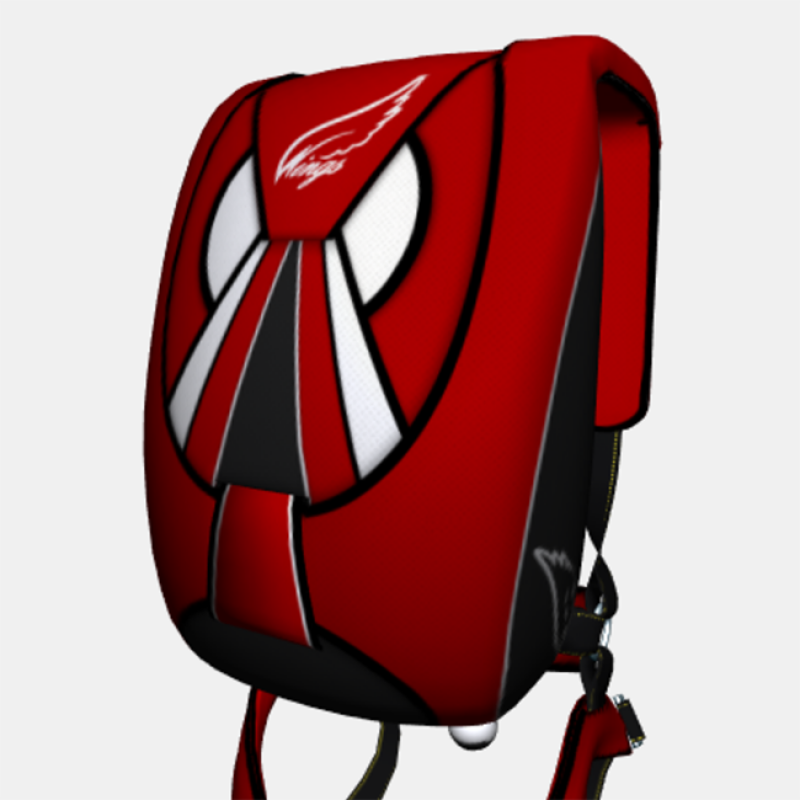 The Wings design cradles your hips while moving your legs forward. Under canopy, you don’t hang, you sit. 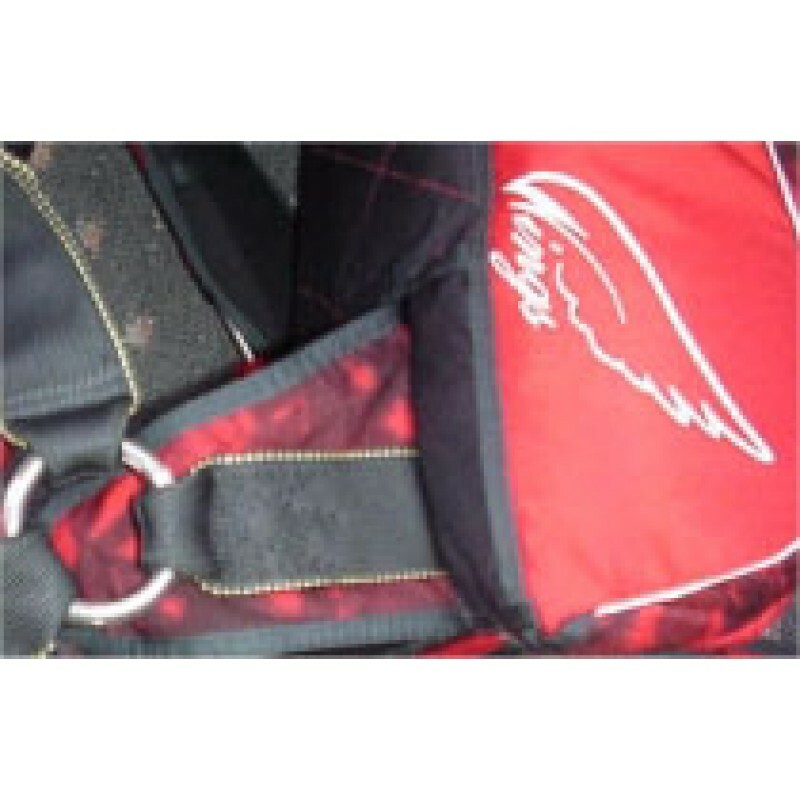 The Wings harness/container starts with safety. As one of the few systems that has passed the FAA’s stringent TSO-C23d certification process, your rig has been thoroughly tested and approved for higher speeds and heavier loads than earlier standards. 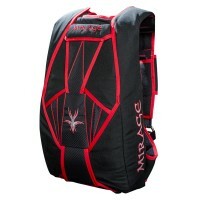 Wings offers the ultimate in durability and reliability: the Cordura BOC. Under the best of circumstances Spandex wears out, often after only several hundred jumps. A Cordura pilot chute pouch will last the life of your rig.The Cordura pouch will not stretch and lose its ability to contain your pilot chute, which greatly reduces the chance of a premature opening. 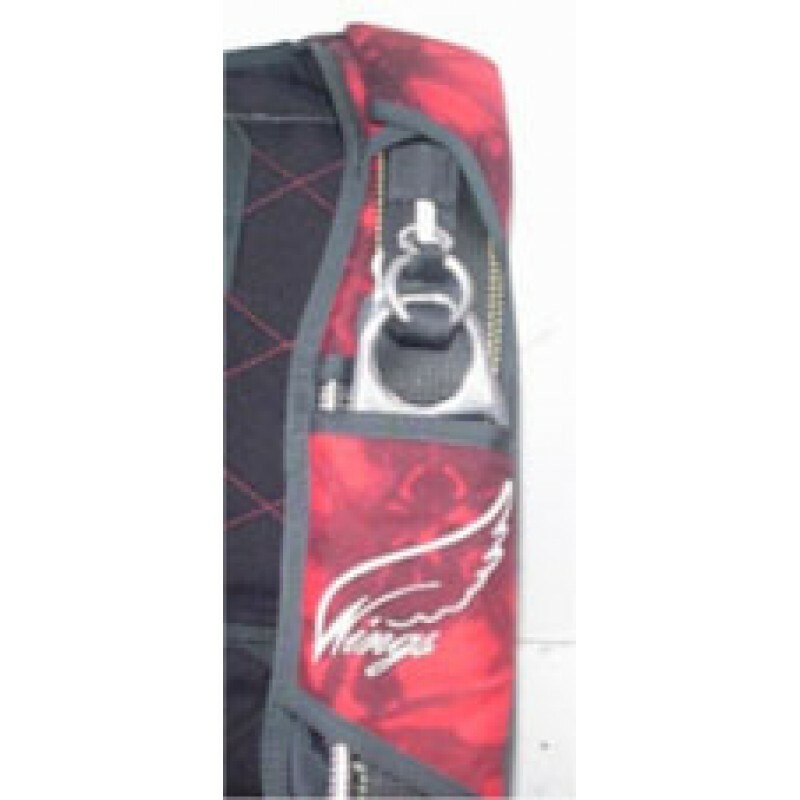 No matter what your BOC material, Wings protects your bridle, keeping it away from snags and wind. 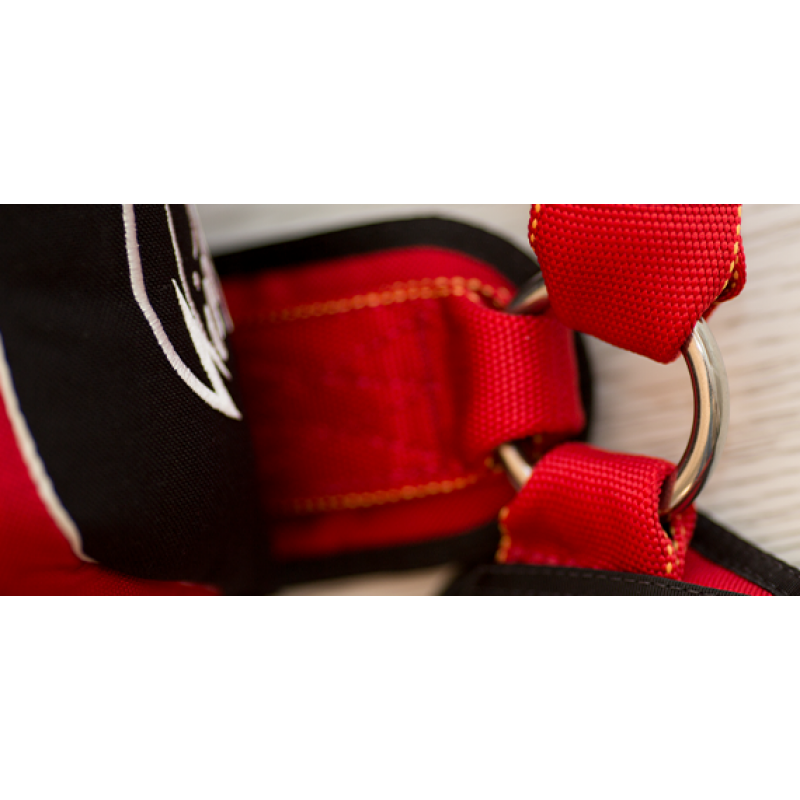 The key to a truly articulated harness is placing a ring in the correct position. The point where the harness must rotate is the intersection of the lateral, the main lift web and the leg straps. 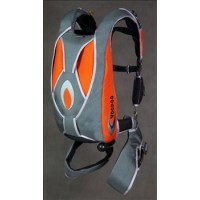 Our placement of this critical detail means the harness will not twist, flex, or kink when you move. 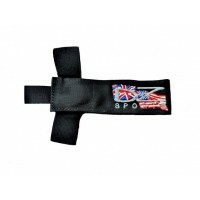 It pivots where you pivot, matching your movement while keeping you secure. Our simple and clean tuck tab design keeps your riser covers closed by placing the stiffeners in the right place to avoid bending and setting into the wrong shape. 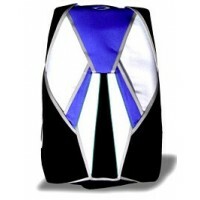 No matter what your discipline may be, our riser covers hold strong. Traditional main deployment bags stow the lines wide, all the way across the bag. 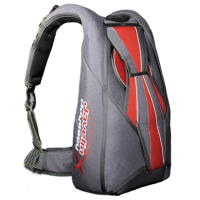 The Wings D-bag minimises line twists by keeping all of the suspension lines stowed closer to the centre of the bag. This prevents the bag from rocking during opening, encouraging on-heading openings. 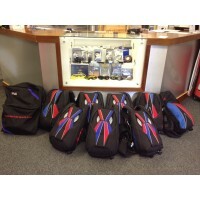 Also 40% off Stock Sale Limited Time only - The Stock discount is applied to the base price, but not the optional extras. Contact Us for more information and a custom quote.